Eyup Revolucion de Cuba, our Dine & Discover restaurant for August! 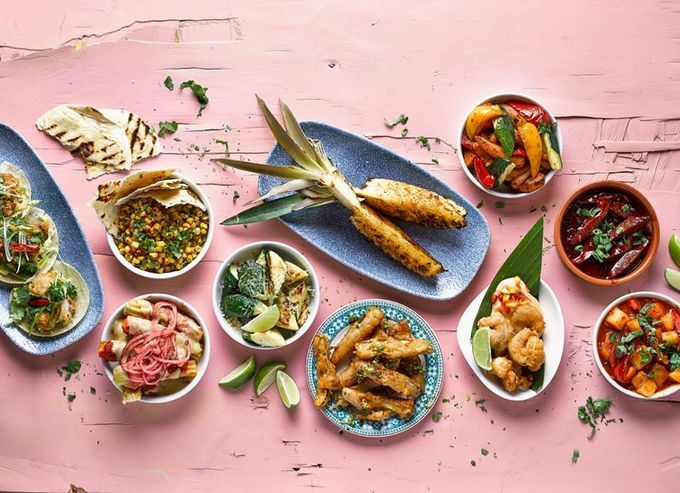 Next to take to the stage and ready and waiting for you to dine and discover next month, is city-centre Cuban haven, Revolucion de Cuba, tucked away on Mappin Street. As well as a tailor-made offer valid throughout August for Dine & Discover, the bar and restaurant will also be hosting a rum tasting evening! Find out more and get your tickets booked ASAP (these will fly off the shelves). 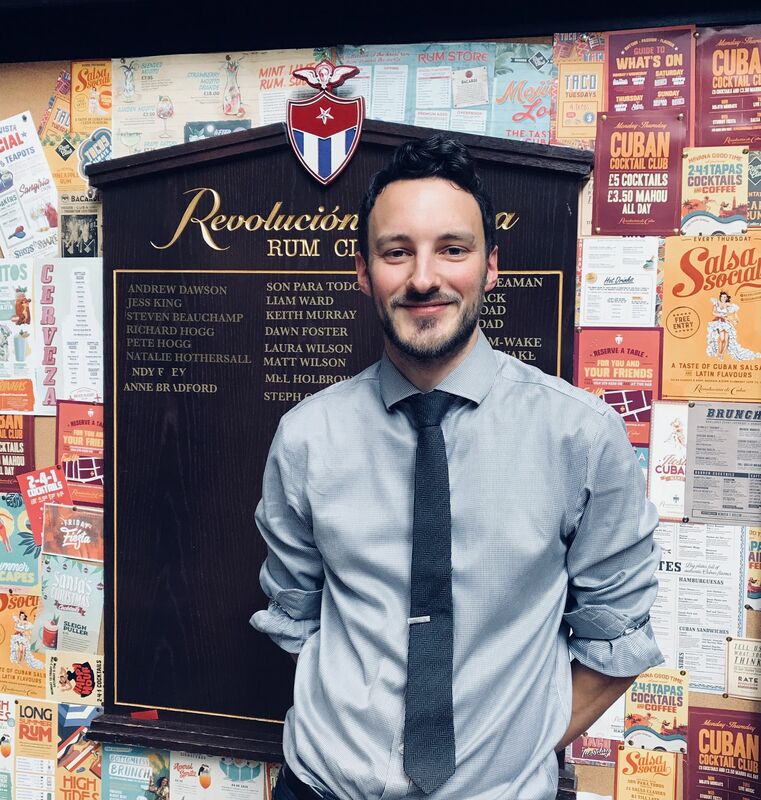 To learn a little more about the Latin-inspired cocktail bar and restaurant that has a collection of more than 60 different rums from around the world, we caught up with general manager Jamie Smith for a chinwag. Tell me about Revolucion de Cuba’s humble beginnings. Revolucion de Cuba’s parent company is Revolution Bars Group. In early 2010, owners and senior managers went on a research trip to Cuba, where they found themselves in a little bar, very similar to the bar here (in terms of the dark mahogany back bar with the glass mirrors and high ceiling fans) enjoying a mojito and soaking up the atmosphere as a pop-up band played in the corner. Music is really ingrained in Cuban culture, but you don’t necessarily expect a live band up and running at 2-3pm in the afternoon. The managers then recognised the lively yet laid-back atmosphere that was created in this small bar, and were eager to replicate this back in the UK. They then used their experience in setting up Revolution bars and applied this to creating a music-oriented, tapas, cocktail and rum cantina. And here we are! We’re the first Revolucion de Cuba of 19 venues in the country, having opened here in 2011. What is Revolucion de Cuba all about? We’re aspiring to deliver great experiences. Tapas and cocktails really are at the centre of what we do. We’re looking to enhance that experience with music, great décor, a really relaxed service style, but done in a professional and refined way. How does this place differ from other venues in the city? The thing that really differentiates us is the music. There are a lot of really great operators in Sheffield - we’re definitely more spoilt for choice now than we have been in the last ten years. Even in the last two years, the city has changed quite dramatically. 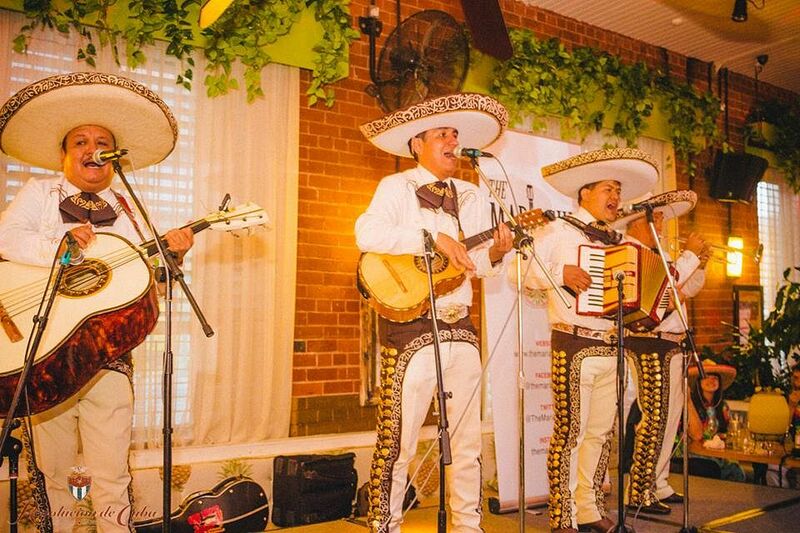 The thing that sets us apart though, is the calibre of entertainment that we offer people here at Revolucion de Cuba. We host live music here five times a week, which is a real commitment, particularly when competition is on the rise, and there seems to be a down-turn in casual dining in the city. We offer a really diverse range of live music here, and we’re not just promoting local talent, we’re bringing in artists from far and wide to perform. I came here to study in 2005 and after graduating - I never wanted to leave! Sheffield has the amenities of a big city, with the feel of a small town. The Peaks are on your doorstep and you’re close to Manchester and Leeds. To sum up, Sheffield has everything on your doorstep. If Sheffield were a cocktail, what would it be? It would have to be a mojito - a modern twist on a classic. You’ve got the nature element there representing Sheffield’s green spaces and the Peaks, but I also see Sheffield as a real mixture of cultures, encompassing two major universities, and being a city that spans far and wide. In the city centre you have a real mix of these elements, in a way like a mojito’s ingredients are muddled together with a green back drop. What can diners expect when they come to Revolucion de Cuba? They can certainly expect great food – freshly cooked tapas – some may say Instagram-worthy. During our happy hour, people can also expect great value for money drinks and cocktails! (Happy hour is 3-7pm on weekdays, 5-7pm on Saturdays and all day on Sundays.) Expect great service given in a relaxed way, by genuinely happy and engaged staff. In the background you’ll hear great feel-good music, that’ll enhance your experience. It’s not all about the food here. The drinks are a huge part of what Revolucion de Cuba means. Tell me more about them. Cocktails are a massive part of what we do. Around half of every drink sold here is one - they fly out on busy Saturday nights, especially during our happy hour. Most other venues will offer a restricted happy hour offer during their slowest hours. We offer a much more flexible deal, where you can buy any two cocktails from the entire menu – we make it simple so you can order what you want. That’s how we’ve forged real loyalty from customers, as they know there’s no fuss and the cocktails are fantastic. We have around 60 different rums on offer here. Rum as a category is quite broad, it offers quite a lot to different people – some might say ‘I don’t like rum’ and we say you’ve just not found the right rum. Rum isn’t as heavily restricted as its counterparts like whiskey or tequila etc. It has the freedom to be made in so many different ways that there is a broad spectrum on offer from around the world, giving a whole host of different flavours. We try to encapsulate this in our selection on the bar. At the moment, we have a rum that’s seven years old from Japan, which has aged in sake barrels. Paired with some ginger ale and all of a sudden, it’s not your typical idea of the spirit. Even if someone comes in who isn’t a fan of rum, our staff know their spirits, and are more than happy to put together bespoke cocktails to suit taste buds, and to get you enjoying the many flavours of rum. Sheffield comes alive after 5pm. How does Revolucion de Cuba join in? We have a brilliant happy hour offering, which gets you experiencing cocktails old and new. Join us after work on a Friday and we’ll have a band playing, food and drinks canapes, everything you need to enjoy your night. We’re bouncing back from a series of bustling Tramlines fringe events, and we’re keen to carry that energy and live music mentality throughout the summer. With this weather we’re having, we hope that people will want to continue that sunshine feel at ‘Cuba. Over the next few months we have a packed calendar full of bands – more content than we’ve ever had really. We’re going further afield to source new bands and live music performers. 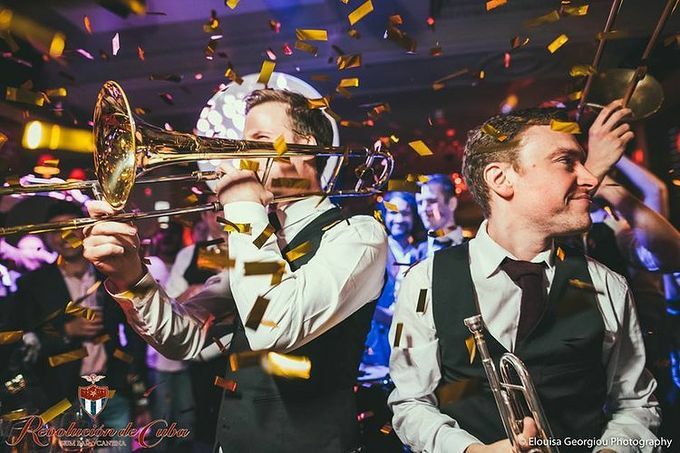 We’re also having a big party over the August bank holiday – we’re hosting Batucada Horns, who are a Latin-African rhythm drum band that fuses with big band brass. If this has got you counting down the hours until happy hour, head on over to Mappin Street (just off West Street) and treat yourself! This month, you’ll also be able to make use of an exclusive #DineAndDiscover offer – it'll only be available during August, so you'd better get yourself down ASAP!